So, I enjoy being prepared, not just planning, but practicing. So, yes, I go through the weeks grammar with my kids the week before (sorry, just being honest). My purpose is to work out the bugs. We don't totally drill and have it perfect. We do run through what I'm going to run through with my class at CC. If I start having trouble with my children "teaching" during class my first action will be a verbal "knock it off" kind of correction. If they continue I won't be able to continue running through the new grammar ahead of time with them. No body likes the no-it-all kids who take over class. We love kids to be involved when they need to sing/speak up/ answer and the like. However, I'm going to try not to let my girls step out of line. Last year they were so shy I had to almost bribe them to answer any questions :). However, it's always different when you have your mom for a teacher, in this case tutor. Wow! that was a long intro. We introduced science and math grammar today for week one. This is my original thought for science to have them draw a little snippet of what each biome might look like. Thank you for all your hard work. I am enjoying your site. I think you posted the wrong song here. Can you check and repost. Was it supposed to be the Biome song? So funny! And I'm sorry. Who knows what I was doing. I do have the most trouble with my blogger app when I'm trying to upload videos, but I'm sure it's a user problem. I'll see what I can do about getting the correct video. I'm thinking it's too late, and I'm sorry. We are in a weird place of life and I haven't been able to reply as much as is like. Trying to catch up tonight. I agree! 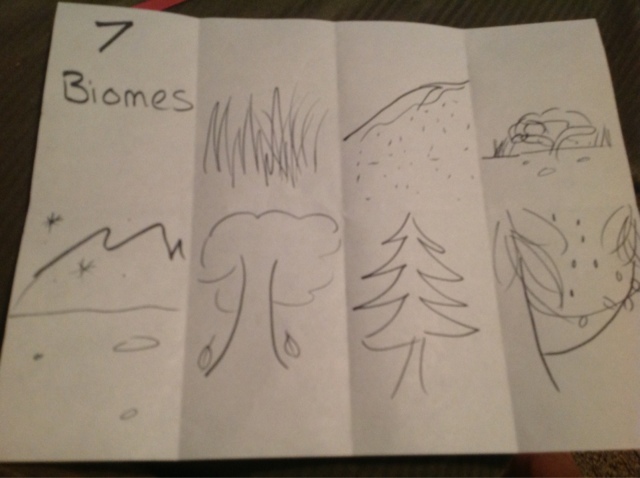 I love that I found this blog - The illustration for the 7 biomes is great! If the 7 Biomes song belongs to CC (and it is found on CC connected) it is against policy to post outside of the CC network so maybe that's why she posted a song found elsewhere? Thank you again - this is great. I will be coming back. I didn't post the song because I'm so new to blogging. It is just sung to "joy to the world". I'm probably too late to post it since most are past week one. I hope you find the other songs we've posted to be helpful. And no, we only post the ones we make up so we don't break rules ;).